I am sitting in a ball room at the Hotel 1000 in downtown Seattle, Washington, attending the Biotechnology Industry Organization (BIO) IP Counsels Committee Conference. The Conference kicked off yesterday with an excellent presentation giving an insider’s perspective of the U.S. Supreme Court and the Solicitor General’s Office, given by Traci L. Lovitt, a partner in the Boston office of Jones Day (more on this forthcoming). This morning the first panel discussion is focusing on Stanford v. Roche, titled Who’s Rights Are They Anyway? The first speaker, Maggie Shafmaster, Ph.D., Vice President and Chief Patent Counsel, Genzyme Corporation, lead off by pointing out something that everyone largely seems to agree with, namely that the facts of the case are still largely in dispute, which makes me wonder why would the Supreme Court take such a case. Be that as it may, Shafmaster went on to say that this case is one that makes in-house attorneys and those representing Universities lay awake at night. She characterized the case as “an academic/industry collaboration gone wrong.” And we are off to the races! Shaffmaster is going through a dizzying array of facts in the case. This is not intended to be a cut at her presentation, rather a characterization of what is an almost unimaginably complex case that deals with facts, invention and agreements ranging back as far as the 1980s. I can only imagine that upon getting into this case the Supreme Court realized that they undertook more than they thought they were getting into, which seems typical given the way the Supreme Court seems to think they can tackle any patent issue. After all, how hard can patents and patent law be? At least one can hope the Supreme Court understands the complexity. In Stanford v. Roche, Mark Holodniy, a Stanford post-doc developed an assay for HIV partially at Cetus, a (then) small Silicon Valley biotechnology company, and partially at Stanford. Over time Holodniy signed conflicting agreements assigning rights first to Cetus and later to Stanford. Holodniy timely informed Stanford about the conflicts, but Stanford failed to resolve them. Holodniy and his colleagues then used Cetus PCR technology to develop a PCR assay for HIV. Holodniy and his research colleagues disclosed their invention to Stanford, and Stanford filed patent applications. Because Holodniy’s research at Stanford was funded in part by federal grants, Stanford filed its Bayh-Dole paperwork with the NIH—six years after Holodniy’s assignment to Cetus. Cetus was subsequently acquired by Roche which developed and marketed a PCR test for HIV. Stanford sued Roche for infringement, claiming approximately $250 million in royalties. Roche replied by noting that Roche was co-owner of the patents because of its assignment from Holodniy. Stanford argues that the contracts don’t matter, because the federal Bayh-Dole Act applies and supersedes all contracts and licenses—in Stanford’s view, Holodniy never owned any invention rights to assign to Cetus – Stanford automatically owned all of it. The United States Court of Appeals for the Federal Circuit ruled that the Bayh-Dole Act only governs ownership as between the federal government and an institution receiving federal research funds (in this case, Stanford), but had no effect on ownership as between the university and the individual researcher. The court held that inventors in government-funded labs have the same rights as anyone else: initial ownership of inventions always lies with the inventor and the inventor is at liberty to contract his/her IP rights. Inventors and their employers remain free to share ownership and benefits between themselves in their contractual relationships, without governmental interference into those relationships. See Supreme Court Case Could Deprive Inventors and Businesses of Ability to Commercialize Inventions. Now, being up to speed, as much as you can with such an enormously complex case, I return to the panel discussion. Only in exceptional and clearly defined circumstances may an inventor receive titled under the Bayh-Dole Act. First, the contractor must decline title. Second, the funding agency must take title. Third, the inventor must then petition the funding agency. The Bayh-Dole Act applies only to invention which are or may be patentable. There can be no ownership issue if there is no valid patent. 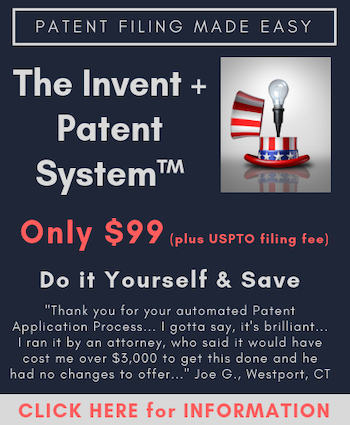 Under the Constitution and patent law, an invention presumptively belongs to its inventor, even if the invention is created during an inventor’s employment for someone else. There is no difference between “will to assign” and “hereby assign” language when referring to non-existen, unconcieved inventions. No matter how worded, an assignment of a future, as yet unconcieved, invention transfers only an equitable right to an assigment when the invention comes into existence. Under the Constitution and the Patent Act, initial title to the patentable inventions vests only in natural person inventors. The Bayh-Dole Act merely allows a contractor to retain an interest that it has obtained (or has the right to obtain) from inventors in its employ. The Act does not confer greater rights on the contractor than it already owns. The Bayh-Dole Act only applied to inventions of the contractor, i.e., inventions owned by the contractor at the time they were conceive or actually reduced to practice. The Bayh-Dole Act does not auotmatically transfer title in federally-funded inventions from inventors to contractors. Contractors must secure patent rights with traditional assignments by inventors. If Stanford’s position were adopted it would be virtually impossible for companies to know what patent rights they own and would discourage collaboration between the private sector and Universities. Joe Allen, President of the consulting group Allen & Associates, then took on the challenge of providing a summary of the Solicitor General’s brief to the U.S. Supreme Court. He started off by pointing out that up until late in the case there wasn’t nearly as much broad based interest in the case as there ultimately became. Allen explained, “when you put the vesting issue on the table everyone has a dog in the fight.” The vesting issue caused the public sector lining up behind Stanford and the private sector lining up behind Roche. Allen, the primary staffer for Senator Birch Bayh in charge of dealing with the Bayh-Dole legislation, later explained that he knows for sure the vesting issue was never considered during the passing of Bayh-Dole because he was involved in writing the legislation and can attest first hand that it never came up. Whether an inventor who is employed by a contractor that elects to retain rights in an invention may defeat the contractor’s right to retain title under the Bayh-Dole Act by contractually assigning his putative rights in the invention to a third party. According to Allen, one major leap made by the Solicitor General is that the passage of Bayh-Dole superceded all laws on ownership, including the Patent Act itself. Allen declined to give his opinion of that argument, sticking to trying to summarize rather than pontificate. Allow me to pontificate — that is absurd! Bayh-Dole was revolutionary, critically important to getting federally funded innovations into private sector hands to create companies, jobs and economic growth. Bayh-Dole did not supplant the Patent Act. The fact that Bayh-Dole works hand-in-hand with the Patent Act is what makes Stanford v. Roche such a difficult case. Due to the long and convoluted relationships in this case a question not directly addressed by Bayh-Dole seems to have arisen. Finally, the panel moderator, Michael J. Shuster, Ph.D., Co-Chair, Life Sciences Group, Partner, Fenwick & West LLP, briefly explained that the Supreme Court Justices primarily questioned two things. First, the issue of vesting, and second why would a loophole be left in Bayh-Dole if the intent was to have ownership automatically vest. Allen explained that had it been the intent of Congress to attempt to modify or define the Constitutional language or amend the Patent Act that by default gives rights to inventors, “we would have said so.” Allen explained that it just doesn’t come up in the legislative history or in the Bayh-Dole Act itself. A truly excellent discussion of a very complex case. My presence at the BIO IP Counsels Committee Conference has been facilitated thanks to BIO and the Practising Law Institue. I would like to thank BIO for providing me media access and privileges to the event, and for working to facilitate an exclusive interview with Erik Iverson of the Bill and Melinda Gates Foundation, who will provide the keynote address. I would also like to thank PLI, our major sponsor at IPWatchdog.com, for underwriting my travel expenses. Thanks to the generous support of PLI we have been able to engage in news gathering activities coast to coast. One can only try to imagine the many ways the Supremes could end up spilling serious blood in the federally-funded IP contract / licensing world with this one. How does this argument support Stanford? Can someone please educate me on this? If one accepts the arguments made in the Jan./Feb. 2011) ABA IPL “LANDSLIDE” magazine legal article starting on p.24, the above “facts” and legal issues in this case may be even more complicated than those noted above! The premise of this article seems to be that there may have been a preceeding university employment agreement with the inventor that would have been, and should have been, self-executingly enforceable for assignment of this future invention under California law, but for the Fed. Cir. having improperly applied its own view of its own creation of “federal common law” for such contracts, in conflict with fundamental Sup. Ct. principles requiring [unless Federally essential] the utilization of state law. [This case, Board of Trustees of the Leland Stanford Jr. University v. Roche Molecular Systems, Inc., 583 F.3d 832, 841 (Fed. Cir. 2009) is cited. but this article was apparently written before cert was granted.] If those authors are correct, and the above issues were adequately presented to the Sup. Ct., this case could presumably be decided by the Sup. Ct. on that basis, rendering the whole Bayh-Dole issue moot, and removing some other inconsistent Fed. Cir. decisions!